If you’ve never seen A Star Is Born before, you’ve certainly heard of the main song from the film Shallow, but maybe you want to know why else to watch the film… or maybe you’ve seen it in the cinema but need a reminder on why to watch it again… either way we’ve got you covered. 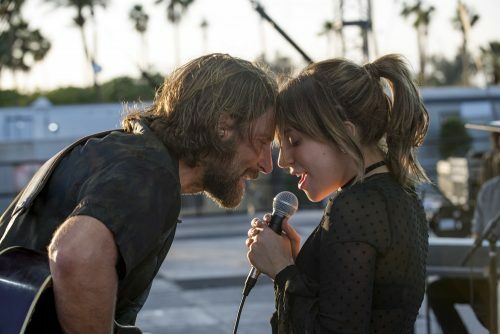 To celebrate the release of A Star is Born, available on Digital Download now and 4K Ultra HD, Blu-ray and DVD on February 11th, we’ve pulled together five of the top reasons why you need to watch this incredible film when it comes out! 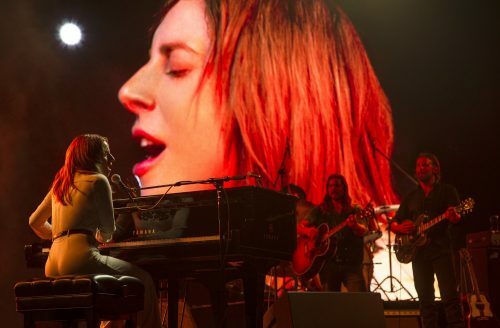 From piano ballads to boozy, bluesy guitar songs, A Star is Born’s soundtrack is enough on its own to win anyone over. Of course, Lady Gaga’s vocals are nothing but stunning, but we also witness Bradley Cooper’s singing debut which seamlessly blends with Gaga’s voice. To make it even better the soundtrack is original, composed by Lady Gaga, Bradley Copper and Lukas Nelson and will the help of Mark Ronson. It perfectly compliments the narrative, heightening the romantic and heart-breaking moments with songs like the well-know Shallow, Always Remember Us This Way and I’ll Never Love Again. But be warned, after listening to this soundtrack you just won’t be able to stop! If you weren’t a Lady Gaga fan before then you certainly will be after watching this film. Gaga loses the bleach blonde hair and iconic outfits, for a more natural look to play a compelling and believable wannabee musician Ally. 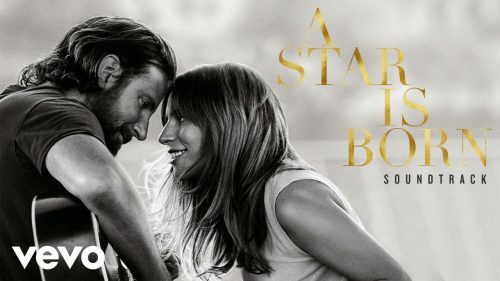 The combination of Gaga’s outrageous vocal’s and pure acting talent, allows the audience to be consumed by the story and her character and has earnt her a tone of Best Actress nominations. Her character Ally is so authentic and plausible, that the love, heartbreak and joy she portrays will linger with you long after the film is finished. This love story will have your attention from the very first 10 minutes of watching and by the end you won’t be able to shake it from your soul. A Star Is Born, follows a complex journey through the beauty and heartbreak of a relationship struggling to survive. Jackson (Bradley Cooper) and Ally (Lady Gaga) first lock eyes on each other in a drag bar as Ally performs ‘La Vie en Rose’. Soon the pair are on a date and singing to each other in a supermarket car park, and from that moment forward you will be sucked into their whirlwind romance and endure the love and heartbreak along with them. Not only is this Bradley Cooper’s singing debut, it’s also his first directing role for a movie. It’s known that he wanted the audience to feel as if they were on stage with Ally and Jackson, which makes performances such as ‘Shallow’ feel so powerful and consuming. Additionally, his acting in this movie is incredible, taking the audience on a roller coaster ride with Jackson on and off stage, through his alcoholism, addiction and love so emotionally and beautifully it’s no wonder he’s got so many acting nominations this year. If these reasons haven’t already persuaded you to spend your Friday night watching A Star Is Born, then maybe a few celebrity cameos will. In the first 15 minutes, Willam from RuPaul’s Drag Race makes an iconic appearance asking Jackson (Bradley Cooper) to sign a body part. Additionally, if you blink you might miss it but musician Halsey makes a tiny cameo of herself – look out for it. Known as an American comedian who appeared in Pretty in Pink, Andrew Dice Clay also stars in A Star is Born as Ally’s dad; a supportive yet pushy Dad who is a driver for a living. Of course not to forget the talented Sam Elliott, who plays Jackson’s older brother who takes the approach of tough love when things get out of hand.